Randolph Harrison McKim, 1842-1920 A Soldier's Recollections: Leaves from the Diary of a Young Confederate: With an Oration on the Motives and Aims of the Soldiers of the South. A Soldier's Recollections: Leaves from the Diary of a Young Confederate: With an Oration on the Motives and Aims of the Soldiers of the South. New York: Longmans, Green and Co., 1910. Chaplains, Military -- United States -- Biography. Confederate States of America. Army -- Chaplains -- Biography. Confederate States of America. Army -- Military life. Confederate States of America. Army of Northern Virginia. Confederate States of America. Army. Virginia Cavalry Regiment, 2nd. Gettysburg Campaign, 1863 -- Personal narratives, Confederate. 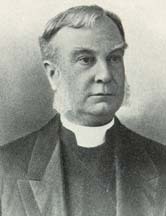 McKim, Randolph H. (Randolph Harrison), 1842-1920. Mosby, John Singleton, 1833-1916. Stuart's cavalry in the Gettysburg campaign. United States -- History -- Civil War, 1861-1865 -- Chaplains.